The fastest, most powerful way to brand your solo business or new initiative that you will ever find. Guaranteed. 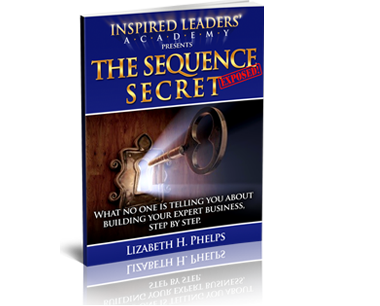 Get the Secret Sequence into your hands! 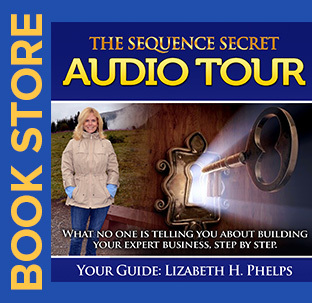 It’s what no one is telling you about the exact-step sequence for building your expert business. Command higher fees, better clients, optimal speaking gigs, attention from top influencers—because your business is one-of-a-kind. Download now and find out how it’s done! As a consultant, speaker and/or leader ready to showcase your expertise, you cannot sound or think like anyone else. You need to stand apart from the crowd and in these times, there is only one way to do it: as an “Inspired Thought Leader.” The most successful businesses of the future will be led by bold, renegade leaders of dual talent: those who bring edgy, new, contrarian views to light with “Thought Leadership”—as they also integrate powerful tools of psychology to influence audiences to act on those views with “Inspired Leadership.” To effect change and succeed in this marketplace, you must lead--with that kind of revolutionary voice. But few dare to do it. They follow the pack, perpetuating bland, out-dated, me-too branding and business development unworthy of their calling and expertise. The Powerhouse Method™ is the fastest, most powerful way to brand your business or new initiative that you will ever find. Guaranteed. 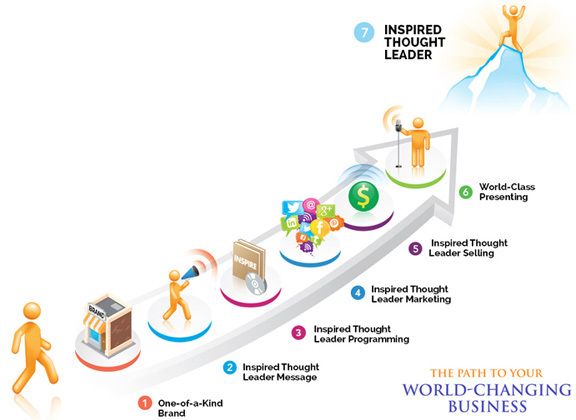 This 7-session program extracts your one-of-a-kind inspired thought leader message and brand by having you craft 9 vital messages. Never have you been asked to think this cogently and deeply. The results are profound. Your fortune is in offering a series of sequential, one-of-a-kind, Inspired Thought Leader programs/events that shatter paradigms and create lasting transformation. Together, we invent and design your very own proprietary suite of highly marketable programs/events. Inspired Thought Leaders market and sell very differently. Traditional platforms are re-invented with me as you lead with your revolutionary message, inspiring those who don’t know you yet to fall in love, follow you and buy. Successful leadership as an ITL all comes down to the ability to powerfully move a room to action. This requires many skills and gifts, particularly the ability to manage energy and “teach to their brain.” Together, we develop your genius as an audience leader who masters impact and influence. .
High standards, creativity, and exacting attention to detail are my signature values and deliverables. I was born last (by over a decade) into a family of pioneering, anti-establishment “transformation artists.” As a minister, my father disrupted the status quo of his upstate New York congregation by marching in Mississippi in 1964 and using his pulpit to champion civil rights. In the ‘70’s, my mother was among the first to join the human potential movement, learning and passing on to me (and others) cutting-edge concepts that are part of our everyday ideas and lexicon today. At age 53, she opened her own psychotherapy practice and changed hundreds of lives. Naturally, my older siblings took roads less traveled and today transform lives everyday in vocations and avocations. The earliest harbingers I can remember of who I would become are removing the “E” from my name in fourth grade, and adoring the word “antiestablishmentarian” as a spelling word in fifth. I believe we are all here to raise the consciousness on the planet and that business, and certainly entrepreneurs, are positioned as they never have been to accelerate that process. > I believe the most successful businesses of the future will be led by bold, Inspired Thought Leaders with potent messages of change. > I believe for us to succeed, professionally, personally, and as a race, we must stop blindly following others and instead, forge our own paths—no matter how unpopular we may be for it. > I believe building a business or initiative requires constant feedback and creative input from a professional and that self-study programs and web-classes cannot do the job. My mission is to revolutionize the way we (all) succeed by eradicating mediocrity from the ends of the earth; by waking humanity from the poppyfield of blindly accepted truths--and by transforming entrepreneurs with similar missions into powerfully influential leaders. I earned my Bachelor of Science degree in Advertising and Marketing at the Fashion Institute of Technology, having had advertising executives from Madison Avenue as professors. I went on to work in two of the top creative agencies in Manhattan before joining Lifestyles of the Rich and Famous as the editor of their companion guidebook. In the following years, I wrote two novels and then a burning-bush experience altered the course of my life. Wanting only to “change the world,” in 2001, I became certified as a professional coach through the Institute for Professional Excellence in Coaching and began my entrepreneurial journey. 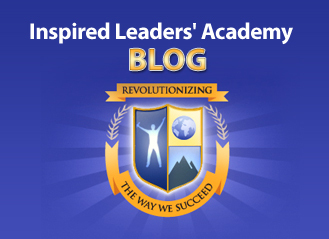 In 2007, I launched my second business, Inspired Leaders’ Academy, dedicated to entrepreneurial leadership. Since then, I have assisted countless entrepreneurs across the globe in influential communication and the development of original brands and dynamic curriculum design. I have spoken and trained for such organizations as Children’s Place; Roche Pharmaceutical; American Standard; Pace University; St. John’s University; the Entrepreneur Organization; Young Presidents Organization (YPO); several chapters of the International Coach Federation and NAWBO, to name a few. I am currently installed as a mentor on the Leadership Development Council at Seton Hall University, and I also mentor TED fellows. As a means of acquiring clients in my coaching years, I gave presentations. No doubt channeling the passion of my minster-father, I found it effortless to capture attention, influence and empower audiences—and soon began teaching a public speaking training and developing talks and events for clients. Though I do not position myself that way today, my “super-power” is certainly in creating dynamic, transformational group experiences online and off. My prowess with the English language, particularly with words that influence. The full-spectrum of hands-on services I offer, specifically designed for entrepreneurial leaders. I know your business will succeed only when I am the “piano teacher who sits on the bench with you to correct you in-the-moment” and so offer personal 1-1 assistance. Also unlike nearly all competitors--who offer free-style “coaching”—I ensure you walk away with tangible projects completed. 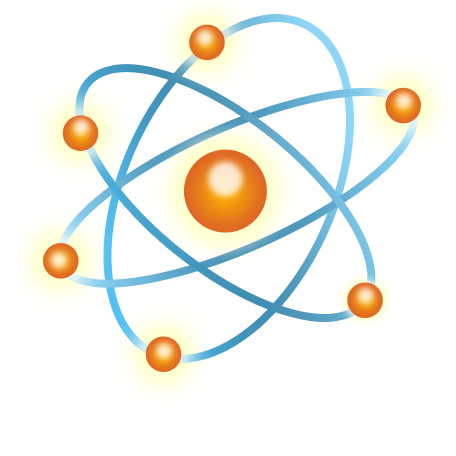 I bring to clients a blend of quicksilver, analytical facility and fluid, right-brain creativity and intuitive ability. 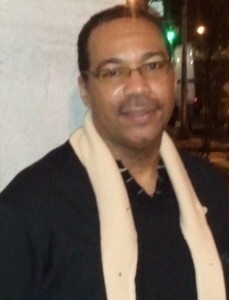 I am a natural visionary, seeing future trends and conceiving innovative strategies. I am a storyteller and bring those creative and technical skills to both business development and marketing. I am a perfectionist and deliver rigorous, high standards. After thirteen years in business and over thirty-five years as a student of human potential, chances are good that I have worked with those in your field, studied much of what you teach, have personally or professionally experienced your kind of work, and as a fellow explorer, understand the subtle nuances of your character. Because of this, I know intimately what you want to achieve; know the marketplace and the gaps within it; and am able to help you convey your message with precision. I am also, most likely, a kindred spirit with countless shared experiences. I do this work --when I could do anything else—because being an Inspired Thought Leader is the role truly worthy of you; it is the role that will change you personally and professionally—and the role that will change the world. Because of this, there is no other work worthy of my time. I was born to work with you and change the world by ensuring that you change the world. Before I found the Powerhouse Method (PHM) I was basically at a standstill in my efforts to develop a marketable leadership program. I spent many years gathering materials and preparing technically to launch a spiritually based coaching program. However, I continued to find myself at a loss as far as the next steps to complete the development and successful launch of my program. My participation in the PHM program with Lizabeth Phelps was/is a God-send in that it enforced a structured approach to the development and launching of my program. 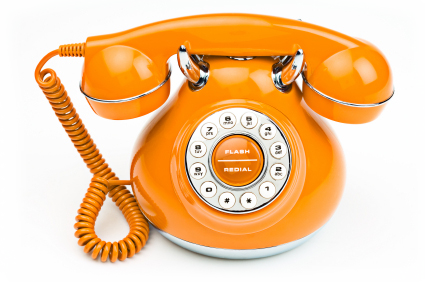 This program ties all of the loose ends of your essential message and results in a focused program that is tailored for the most success. The PHM is very thorough and rigorously detailed enough to the details of your brand as well as a conceptually tight and marketable program. 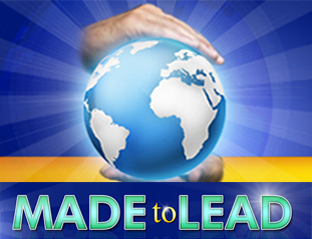 I would strongly recommend the PHM for anyone that is working on developing any type of Leadership/Training program. Prior to taking this course, I had so much difficulty describing what I do and my program. Now that has totally changed. I can now concisely express what my program is, the benefits, how it is different from other programs, and more. I believe this course is the critical step necessary for building a business. Now, I look forward to opportunities for talking about what I do with others. I am so grateful to Lizabeth’s persistence and demand to not expect anything less then the best from us. She gave so much in this program that it blew me away. I wholeheartedly agree that this is a pivotal and essential process for a new business starting out to take (and one much more seasoned.) What I learned is that YOU absolutely must get clarity around what you do and how you do it to make the money you desire to make. Before I took this course I was struggling how to clearly express the “promise” of my upcoming book “Destiny of Power”. I knew what I wanted to say and the importance of my message but it was all over the place. After working with Lizabeth, I have much greater clarity around my promise and am excited to begin the promotion of the course that ties in with my book—and everything else I have planned for my future! This is a must-take class! The 12 Sentences are such a powerful path to clarity and articulation, it makes everything you do in your business fall into place. Don’t leave home without it! The sense of strength I feel in writing and speaking about my work has doubled. What a gift. 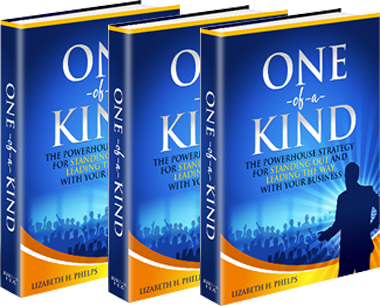 The fastest, most profound process you will ever find for securing your one-of-a-kind Thought Leader brand and the message you are known for.